There are a total of five diamonds set on the ring, celebrating the moment when he fell in love with her. The prongs are inspired by how they live their lives in parallel with one another, each heading in the same direction. Two gemstones set on the inside represent when they first met and when he proposed. 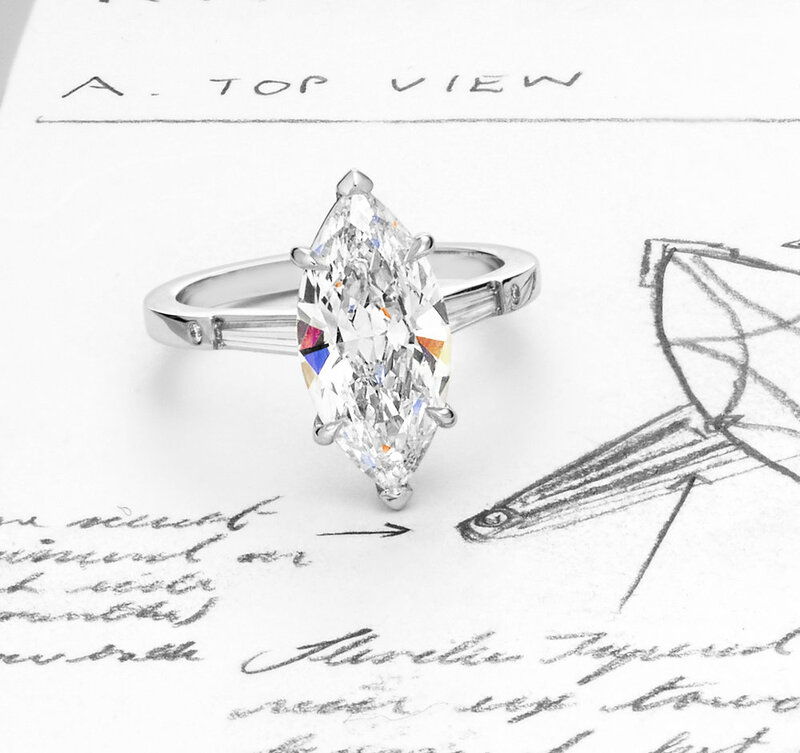 Hand-carved on one side profile is the exact sailboat from Santa Marina when he imagined her to be his future wife. On the second side profile is an airplane to symbolize the future adventures they will embark on together. The Sailboat Ring features a marquise-cut diamond chosen for its elongated shape and perfect cut. 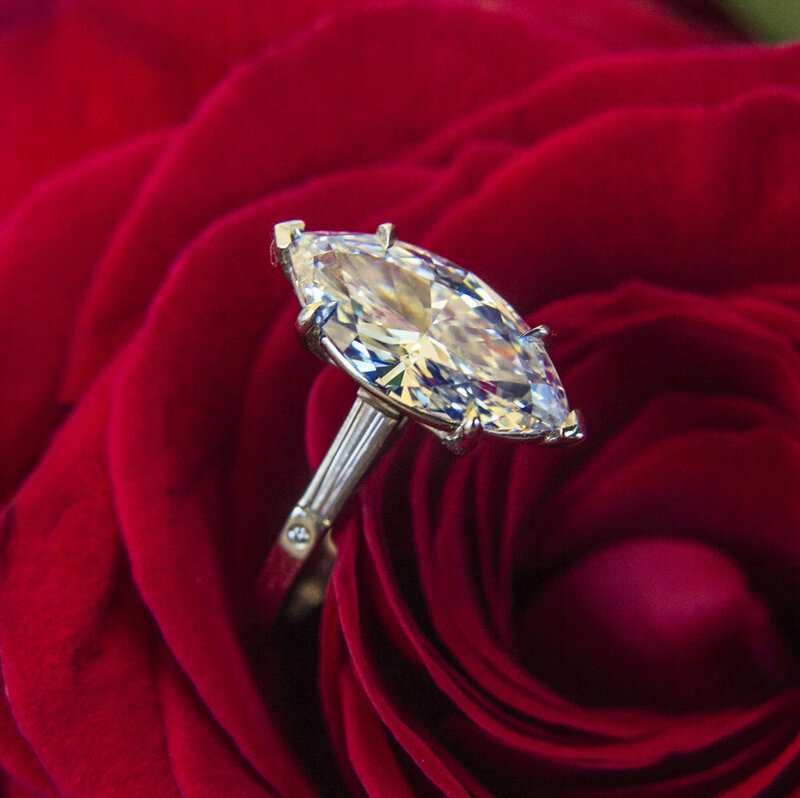 The center diamond is framed by two tapered baguettes, followed by two round brilliant diamonds. All five diamonds are set in platinum and from every angle, you see each of her diamonds sparkle with maximum fire, life, and brilliance.